LG will unveil its newest OLED product, Gallery OLED TV (Model 55EA8800) at IFA 2013. The new model features an elegantly understated frame that incorporates the powerful yet unobtrusive Canvas Speaker. 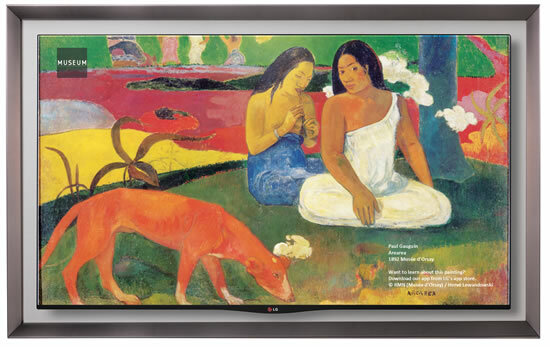 Like a priceless painting, the 55EA8800’s stunning 55-inch screen is bordered by an aesthetically pleasing frame. More than just an attractive design detail, the frame conceals a 2.2 channel sound system that features LG’s new Canvas Speakers. Cleverly disguised within a faux art mat, the forward-facing Canvas Speakers enhance the viewing experience with rich, full-bodied audio. In keeping with the artistic theme, Gallery Mode enables the user to view high-resolution digital images of paintings by legendary artists such as Vincent van Gogh and Paul Gauguin. Gallery Mode also makes it possible to watch a slide show of one’s favorite personal or family photos. The unique design and impressive audio capabilities of the LG Gallery OLED TV complement LG’s industry leading OLED TV lineup. 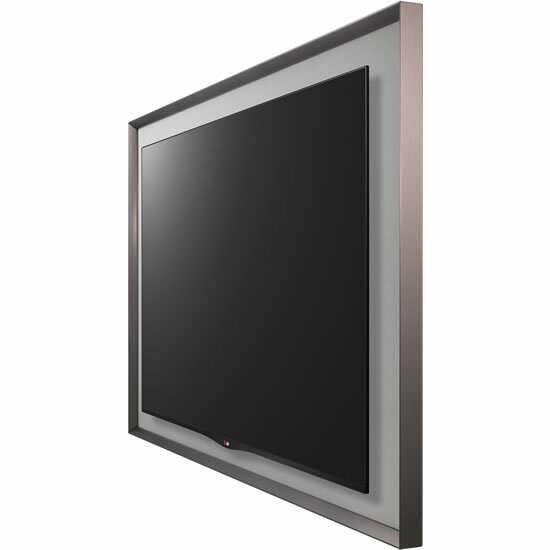 As the first wall-mountable 55-inch OLED TV ever produced, the GALLERY OLED TV is an eye-catching statement of LG’s excellence in television technology and design. LG Gallery OLED TV will be launched this month in Germany with other markets to follow.